You may be contemplating on the crypto coin that will be best for your investment. You might have even found yourself investing in one of these Cryptos but you did not gain your profit as you expected because, some developers, after hitting their target and making a huge sum of money, dropped the project, and left investors in the middle of no where. All hopes are not gone. Lets start a new page in you new or next journey to investment for profitable earnings. I will be introducing you to MOOLYA an entrepreneurship ecosystem aimed to accommodate entrepreneurs, organizations, and institutions that make up the ecosystem of collaboration to ensure firm success. 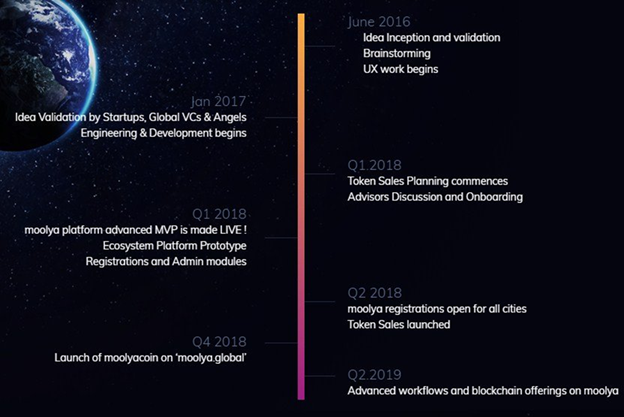 Moolya Project a blockchain-based entrepreneurship ecosystem aimed to accommodate entrepreneurs, organizations, and institutions that make up the ecosystem of collaboration to ensure firm success. MOOLYACOIN is a big project, one that you shouldn’t miss participating in the ICO not only for its wonderful team but also the concept and idea the project represent. I am in it and make sure you play your part and one which you will be proud you did soon. The Moolya project launched through the creation of a cryptocurrency named moolyacoin (symbol: MOOLYA). The moolyacoin token is built on the Ethereum blockchain and conforms to the ERC-20 standard. 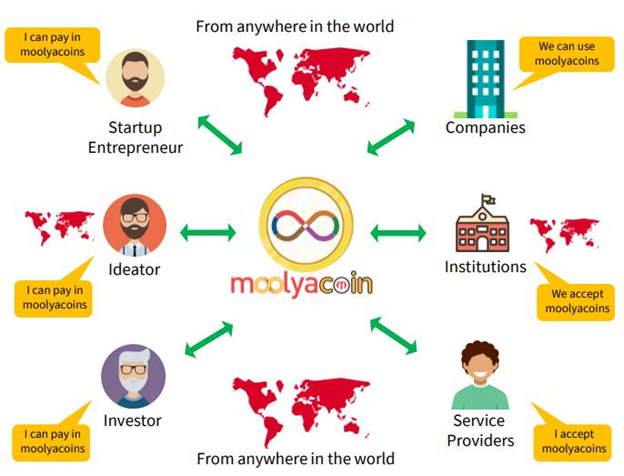 Moolyacoin is a token of a patent pending innovative SaaS moolya.global platform, which is aims to become the preferred method to conduct business and access the ecosystem of services on moolya platform using the Ethereum blockchain protocol. All interactions and collaboration within the platform/application is built into blocks and automated smart contracts bring in the required trust in transactions on the global network. This eases choices, reduces costs and enables faster resolution of service requirements for global startups, investors, service-providers, ideators, institutions and companies. 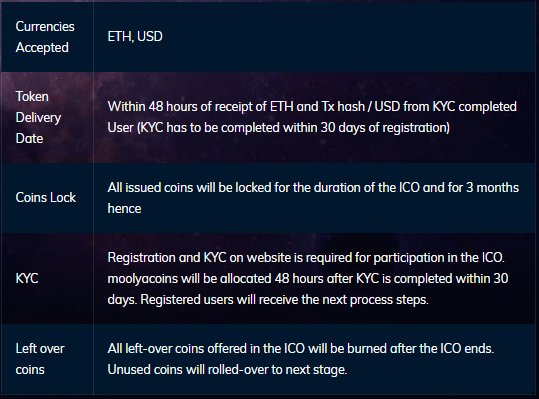 Moolyacoin token is an ERC20 token of a patent pending innovative SaaS platform — moolya.global, which is a culmination of an interaction network, marketplace and on-demand service platforms offering services using the Ethereum blockchain framework and moolyacoin as its preferred mode to access and conduct transactions. Benefits of moolyacoins on moolya: Why a native coin? To understand how moolya platform works one has to understand its features, business model, revenue methods and the collaborative opportunity between the digital communities. Moolya will rely on a two-sided network effect protocol built to help increase the use of startup products within a particular user group and consequently, increasing the value of the corresponding item. From this, Moolya began to encourage the growth of complementary goods by giving them a strong presence in the market through their network effect protocol. 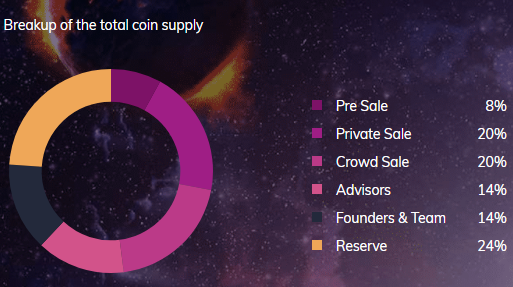 Developers, for convenience in work, introduced their own token - Moolya coin, the standard ERC20, it will be the main means of payment in the ecosystem, but the system will also support other currencies, including the money of fiat, compared to other users moolya coin holders will have some advantages, their creators will be encouraged by benefits. Since the coin is created according to the ERC20 standard with the help of moolya coin it will be possible to create convenient smart contracts and store coins on most existing purses. The advantage is that payment on the platform can be made in different currencies, and this is undoubtedly very convenient for all users. In my memory, not many projects are open for other currencies today, so I note this is a big advantage of this platform. Now the company plans to scale its autonomous ecosystem to maintain at a global level. They also plan to introduce a digital identifier for users, which will provide a standard inside the system and ensure the success of the workflow as well as people's activities.